Success + style expert videos for women entrepreneurs helping you and your business get out there! Welcome to my video page library with the best of my Youtube how-to videos to help you elevate your life, business and style! 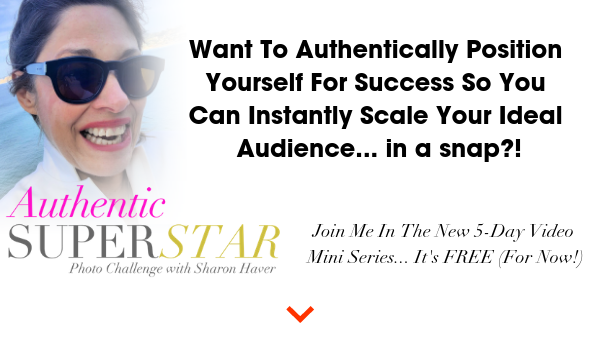 Since I’ve had an online business since 1999, I love to help women entrepreneurs with success strategist tips that take my style expert advice to the next level beyond their fashion but to step into their brand star power with these how to videos. Don’t forget to subscribe in YouTube so you’ll know when new videos are released. #FoSQuickTips – Unedited, on-the-go, slice of life shortcuts to elevate your life, business & style each day with actionable, inspirational and motivational advice… all filmed on my iPhone to get you the real tips as quickly as possible. Selected Quick Tips with additional content for women entrepreneurs can be found here on FocusOnStyle. The 7 Days To Amazing Podcast – Learn how to make your life, business and style even more amazing this week! Episode Extras and Transcriptions are available, here. Women entrepreneurs, small business owners, coaches, authors, bloggers, speakers, anyone who runs their own business or wants to get out there… this is for you! Give me 15 minutes and I’ll tell you how the world sees you and how it’s having an impact on your bottom line. Apply now.